Over the years, SRI and Rob Salisbury have developed a reputation for delivering training modules and programs that influence significant behaviour changes in people and teams. With individuals raising their confidence levels in sales, marketing and personal and company promotion, entire teams have lifted performance with tremendous gains in sales and business profits. 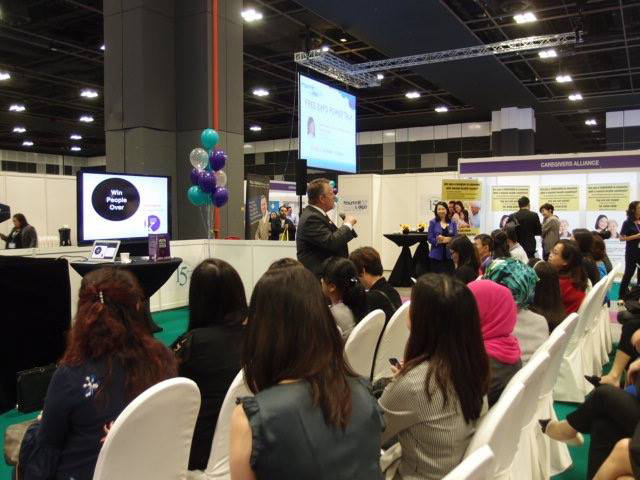 Enhance your teams skills and income through public seminars or our corporate training programs. Contact SRI in Sydney Australia at +0412 414 835 or email rob@strategicresources.com.au regarding tailored programs to impact your team and generate new sales and business revenue. Thank you for all your help last year and the insights that took shape regarding our DHL client conferences and special staff projects in the SE Asia region. Of particular note is our March Hong Kong regional leadership conference with our 200 senior management and key clients during a two day event. I am working on several large events and projects in which we can talk more about when you return and appreciate your help when working through our planning and budget constraints to find fresh ideas. It has now been just over a week since we had our dealers conference in Parramatta and with it, the time to reflect on what we have accomplished. Firstly, thank you for the help you provided us in pulling together our "turnaround" workshop in November last year. Some of our top people have been with us for many years and seen just about everything. The new attitude and mindset of our dealers and team is at a welcomed high after what we have known to be a difficult lull in our industry. Secondly, we came face to face with hard issues we needed to address. You facilitated a process that took us down a track of self-responsibility and turnaround concepts. We are experiencing a major shift in our team, many of whom had been "waiting" for a change. Their new enthusiasm and activities are already making a huge difference on many fronts. Thank you for supporting NSAA in so many ways over the years. In particular, thank you for presenting so brilliantly at Speakers Academy in April. On behalf of the Illawarra Area Consultative Committee and Illawarra Business Club, thank you for your presentation on 8 March entitled, '21 Small Business Success Tips That Get FAST Results'. Rob, we have seen you as a workshop presenter, speaker and Master of Ceremonies on numerous occasions, this making the third time since 2002 you have presented or MC'ed for us in the Illawarra. Your style and materials are always refreshing and challenging to meet the needs of each group with our eighty or so guests learning 21 key ideas and bonus concepts in about 40 minutes. The key thing we both noticed was how comfortable you were with your materials sighting plenty of examples, yet allowing the audience the time to absorb it as you moved around the room so everyone could see and learn from your presentation at different stages. There is no doubt that the style of your presentation had everyone thinking about the four to five major points they could use as it related to their own businesses. You delivered valuable insights to business people who run small businesses to those with large staff and turnover in the Illawarra area. We look forward to seeing you in the future and thanks again for helping kick off our year as lead off speaker. Thanks once again for your "Advanced Closing Techniques Workshop" you presented in our office, 7th February. Once again, your workshop proved to be popular with more than 60 of our real estate associates turning up, even when it was two days before our huge Lunar New Years holidays in Asia. This underscores the interest level on the topic of closing skills and of course, our associates were rewarded with a great presentation from you. We look forward to having you at our Business Conference and Dinner on 22 March. Thank you for your help with Twin Fashions His and Hers Retail. Your business and team development strategies have made a big impact on our revenue and excitement levels. Rob, when I first saw you speak at a business breakfast series a few years ago, you wowed the audience with fresh ideas that made sense. I didn't think there was a way I could afford to have you work with our business. Last year, another business owner whom I respect and knew you, encouraged me to reconsider what you could do for us and I am glad I did. Since mid May, your new promotion and marketing ideas tailored to our business have brought impressive attitude changes and new revenue results. Twin Fashions has just celebrated seven months of back-to-back sales growth with December recorded as our largest sales months in our six-year history. In terms of sales, our walk in traffic is up, repeat customers are purchasing more and raving about our service when talking with others. As a business owner, I have replaced myself from much of the daily requirements with a new sales team with fresh attitudes following the recruiting and hiring process you helped us implement in July. Rob, these are the highlights that have come from working with you. If someone has questions about how the difference you have made in working with our company and team, have them call me. A quick note to say Thank You once again for your gem-loaded mini sales workshop for our team entitled, "The Success Triangle To Outsell Your Competition". We were expecting a strong turnout from our top estate sales associates, however, when over one hundred showed up, I knew it was going to be a powerful November sales workshop for our teams, managers and company. Our in-house training room was so jam-packed with people that entrance doors were left open so associates could hear what you were covering. Even though there were no more seats to sit on, no one left in your 90-minute session with many standing at the back or outside in the hallway. With that type of response, we are looking forward to your closing skills workshop so our people re-engage our clients with renewed enthusiasm and service skills. Rob, you promised you would deliver with compelling content and on time. You had our associates re-thinking and re-engineering their selling habits very quickly. This will definitely help them to be more effective salespeople and in that, we will grow to our next goal of four billion in real estate sales. Thanks again Rob, I look forward to seeing you on your next trip to Singapore. I didn't want the year to end without formally thanking you for the terrific job you did for our organizations during our July conference. We were delighted to invite you back to facilitate our sessions for the second year and once again, you did not disappoint us. The feedback and encouragement you gave to our team has resulted in a bumper four months of sales opportunities identified and converted by our consultants. As a result, our business is flourishing. Once again, you managed to keep our people captivated and entertained. As a result, the learning experience has flowed on and been of great benefit to everyone. Our staff left your sessions energized and motivated and once again, time just flew by. We look forward to working with you again in the very near future. 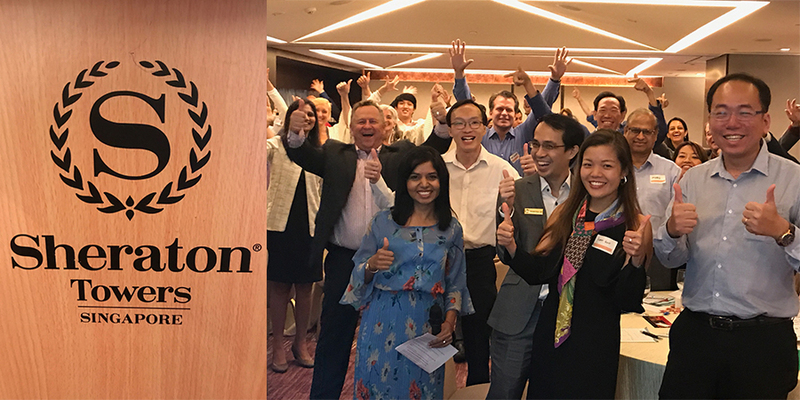 Thank you once again for leading the "Understanding Your Clients" workshop during our All Hands Strategy Meeting for Commercial Services - Australia and New Zealand. I can with all honesty state that your session was the most thought provoking and motivating workshop for our entire team. Your dialogue, lively interaction and innovative approach to salesmanship was a key theme of our program. It was clear that you not only imparted new ideas, but new skills to the group. I hope that you will have the opportunity to work with my colleagues in the (South Pacific) region as I believe you have much to offer for staff development. Thank you for your contributions as our workshop speaker and facilitator on Saturday 25 September and in support of our third year of holding the National NSAA workshop and program entitled, "Speakers Academy". The workshop program and content was geared around the core competency of Topic Development, an area in which most speakers must have selected before we go out in the market place to speak or train. What impressed me more than your delivery and skills with our members on the day was the preparation to tailor make and customise the 1/2 day training materials to the very audience and individual need. Your topic matter was fine tuned by using the audience throughout the 1/2 day session in examples off their own websites plus help with anyone after the program finished. I am recommending that you are included on the short list of National Presenters. Your session was one of the best received in recent years and the most enjoyed. On behalf of the Board of Directors, I would like to thank you for presenting to our 60 members at the Sheraton on the Park on The Art of Personal and Professional Marketing. 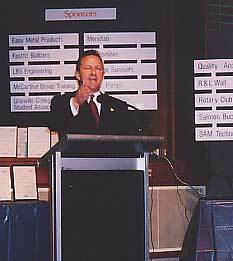 Your remarks were enthusiastically received and members impressed with the quality of your presentation. Members have thanked us for organizing this event with very positive comments about the informative insights you provided. Another added value to our conference was Rob agreeing to present a marketing ideas workshop on Friday afternoon to a very select group of local businessmen. Billed as a 'men only session', all reports from those that participated confirm the information covered was an overwhelming value to them and a first time session success for our conference. It is with pleasure I recommend him to any business, corporate body or active group who wish, as we have, to broaden and expand their horizons". "On behalf of Robert, Geoff, Mike and myself (as Company Directors), thank you for your excellent facilitation and training sessions at our joint conference (last week at the Sydney Crown Plaza Hotel). You met all our expectations with the sessions you delivered. Our staff have come away from the two days focussed and clear in their minds about the path that both organisations are taking in the coming years. A large number of our staff have specifically commented on how good the sessions were, how much they got out of them and what a skilled presenter you are. Everyone benefited from the refresher from last year's conference and it really set in place the foundation to build on. I am sure you have set in place systems and practices upon which we can continue to build subsequent conference training sessions. We all look forward to working with you in the future". Several members have called us and thanked us for organizing this event and made very positive comments about the informative insights that you provided. Thank you for the time you invested to share with us how on how to promote Rotary International at our NSW Presidents Elect workshop with our 60 delegates. We appreciate your expertise in helping others to strive for their goals. The IACC looks forward to working with you in the future. "The average attendance at AIM Personal Empowerment Network functions is approximately forty delegates. Attendance at your program on Tuesday the 29th of October was double. The feedback included "exceptional, challenging and thought provoking" and another "why did I not attend your session last year...I would be twelve months ahead of myself". Rob, your presentations for AIM are always of high standard and it is a continual pleasure and delight to hear you speak to our members and guests". "Thank you for your training program on Tuesday with our team. I had heard good things from several of our sales and management people who attended your workshop in the morning and I was looking forward to seeing what you had up your sleeve for our team in the afternoon. I was impressed that you so easily engaged our team of sales people who have over 60 years of experience between them in our city. The flow of relevant information, key ideas and 'on the spot role plays' was magnificent. All of the people at this training, including my long-term veteran in his late 50's walked away with new methods that I know will take us to another level in our 8-year-old business. They are asking when we will get together again and I let them know it will be very soon. We look forward to working with you in the next few weeks in organizing more training events to help improve our team attitude, sales figures and customer relations". "Our business has felt the impact of the US 11 September incident with our economy changes and general apathy in the market. I knew I could use your help in our sales and marketing plans right away to find some edges to these market changes. Your ideas, creativity and marketing strategies over the last eight weeks have re-ignited an enthusiasm that we had been missing. We have gained a keen sense of the numbers in our weekly business plans, the impact of new approaches to our clients and strategic identity marketing to our most empowering clientele and new potential clients. It is refreshing once again feel this new excitement that permeates the air of our main store in North Sydney". "Our training program last week has quickly turned into excellent telephone strategies and training appointments for our trainers. We learned at least a dozen new ideas and role modelling in front of us live was key to the process of turning calls into key meetings the next day. Our team has been having a great time, is handling failure and rejection with new confidence and we are turning previous defeats into new successes"
"Your half day workshop for our 40 participants was spot on. The subject matter of the program "How to Market Yourself to Employers" is very timely now. The people at this program needed new and refreshing insights to position themselves correctly in the marketplace as an employee...this workshop delivered the macro and micro perspectives with group dynamics. Your ability to remember names, keep everyone interested in the topic and deliver your materials with humour, conviction and lots of examples has been a great addition to our educational programs. We look forward to working with you in February and March on our next series of programs. Thank you for your time with our home lenders on Tuesday morning. I found your advice, insights and knowledge to be of great value and inspiration. The strategies that you gave to our Personal Bankers and Mortgage Lending Officers were fantastic. I have already started implementing two of them and the results in time savings, personal profile marketing and follow up to our clients is remarkable...and simple to do. We want you back right away for the rest of our team in ACT. An added bonus is that I have just received another promotion from Home Mortgage Lender to Personal Banking Specialist...can't wait to share other victories in my 'climb up my professional mountain'. You have inspired me and others to do great things. Just a short note to thank you for your excellent presentations on Tuesday morning (to our top Lending Officers and district Sales Managers)...it was UNBELIEVABLE. - "Motivate my team to start the new (4th) quarter/plan for the year with an attitude of 'can do' and to provide them with (various proven) tips as to how to succeed in their roles as Sales Leaders". Your (two workshop) presentations were insightful, refreshing and a nice break from our standard, conservative internal training days. I look forward to working with you in the future and have already passed on your name to my counter part in the Northern Suburbs who is keen to undertake a similar professional development day for her team". "Rob, the team has been really on it this week since our 1/2 day event on Saturday afternoon and our sales activities have risen very quickly. I enjoyed seeing you at the Smithfield Chamber of Commerce a few weeks ago and felt there might be some areas that you could bring to our team from your experiences with other teams and companies over the years. I had some reservations about a couple of team members getting the message to lift their game and activities. Your training on prospecting ideas, client contact, listening skills, qualification of the clients needs, gaining the clients trust in us working with them to sell and lease their industrial properties and the dozens of ideas on personal marketing in our niche area was fantastic...good meaty training that I know will lift our standards right away. We look forward to seeing you back in early October for the next stage of our training program. I am sure the results between now and then will be very exciting to report". Thank you for our team program in mid July for our Corporate Sales Team at the Sheraton on the Park in Sydney. Our afternoon session on sales ideas and teamwork really hit home. The after lunch segment was tailored to what our sales, marketing and administrative team needed to get the team excited about our objectives for kick starting this financial year. In addition, the follow up session on Goal Achievement at our head office in Sydney last week was very timely. The office has been buzzing ever since and looking for their next back rub...the team has taken to you and we can see using you in further training and teamwork sessions in the months ahead". "I would have never thought it likely that before your training program in early May, I would learn a $350,000 idea that would actually work. I tried one of your ideas from our workshop in front of a stubborn couple that wanted to negotiate on our service and fees. After a few minutes of thought provoking personal discussions with them, the right strategies and words to use at the right time were applied and we were all in agreement pretty quickly. This sale will be worth over $10,500 in fees to my company and the couple is thrilled with what we are doing for them...thanks again.... when is our next training program"? "What fun we've had, what learning we've done and what sales we'll achieve. Thanks again for your Champion performance and for inspiring our 85 Sunspirit Team members at our (25th Anniversary) Sales Conference. We look forward to seeing you again in the future of our conferences and team meetings". This letter is to bring you up to date on the impact of your training sessions over the last eight weeks. Our Target Revenue Goals have increased by 250% since the beginning of the new financial year. With that in mind, I was very excited to see my team hit 117% of their team goals in September. The degree of competence and confidence in the fundamentals of telephone sales has been very noticeable and we have had a number of individuals hit their sales budgets since the training started. We look forward to seeing you at our sales conference awards day in November". Thank you for the excellent 8 week (weekly) sales training program you conducted for my team through March, April, May and June. As you know our results for April were excellent, 159% of target. The good news is that May was even better with my team achieving 192% of target". This is to bring you up to date on the impact of your six week training program. We had a record breaking month in January 1999, traditionally our slowest month of the year. My team achieve 163% of budget and they did it knowing in December that their individual targets would be higher in January. We are committed, enthusiastic and really working well as a complete team".